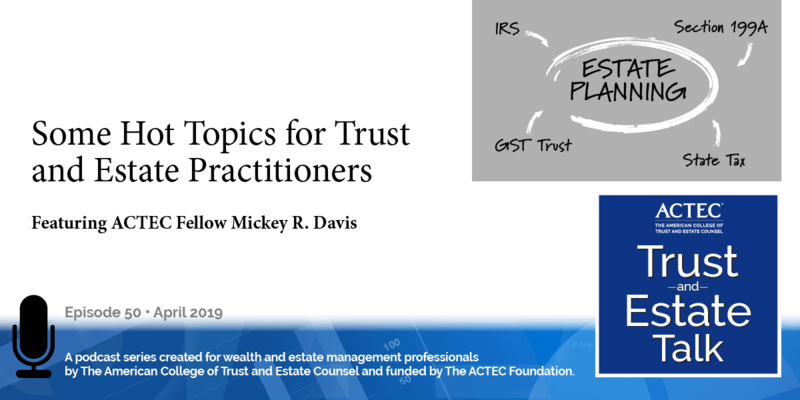 “How to Sell a Law Practice.” That’s the subject of today’s ACTEC Trust and Estate Talk. This is Joe Hodges, ACTEC Fellow from Denver. What are the considerations for selling a law practice? 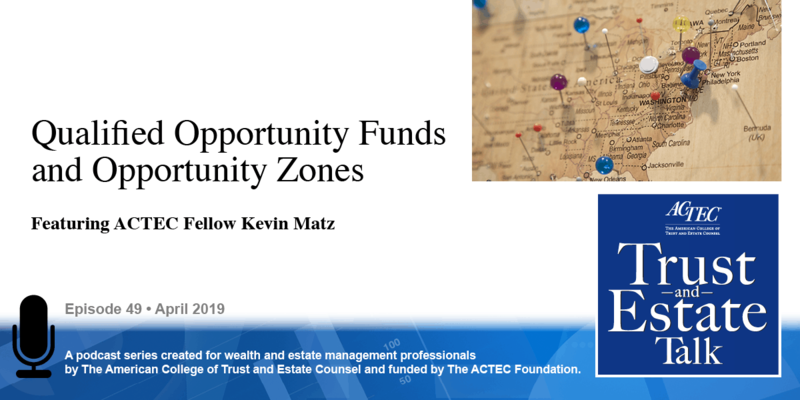 To learn more about this topic, you’ll be hearing today from ACTEC Fellow Lou Nostro of Miami, Florida. Welcome, Lou. Thank you, Joe. On Monday morning, many of us feel like we’ve had enough. Some of us dream daily about retiring. If that’s you, it might be time to start your transition. As we all know, all attorneys need a succession or practice continuation plan, but many of us don’t consider that there is an option, and that is selling your law practice. We don’t fully appreciate what we’ve built over the course of our career; it’s the product of our professional life work. We’ve invested a lot of time, maybe a little bit of talent, passion, and some of our money – the practice has real value. So my talk today is how to monetize a law practice, a topic that really has received really scant examination over the years. We’re aware of other professionals such as accountants, dentists, and physicians who successfully sold practices at retirement. And in today’s talk, we have four primary factors to consider. One, how to comply with the state bar rules. Two, how to value your practice. Three, how to structure the sale. And four, how to market the practice. Let’s start with the model rules. The first state that adopted rules on how to sell a practice was the state of California as recently as 1989. The ABA enacted a model rule 1.17 in 1990, and that has been adopted by most of the state bars. When selling a law practice, ABA rule 1.17b states that the entire practice – or the entire area practice – must be sold. You can’t sell a horizontal slice of a practice; you’ve got to sell the whole practice. And it can be sold either for a fixed sum or for an amount that’s contingent on future revenue. The fixed sum really is calculated based on past performance, and the amount contingent on future revenue is often referred to as an “earn out.” If you sell a practice, can the selling lawyer continue to practice in the area sold? And the answer is no; you have to cease practice in that area. But the rule doesn’t state how quickly you need to cease practice. The transitioning of clients from a selling lawyer to a firm or purchasing lawyer doesn’t have to be immediate or abrupt. Fees cannot be increased as a result of the sale. And, of course, there is required client notice and confidentiality. 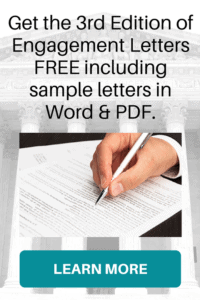 The selling lawyer must notify by certified mail to each client that the practice is being sold, that the client has the option to hire a new lawyer or have their file returned, and if no word is received from the client within 30 days, consent is presumed that the selling lawyer can basically transfer that file to the purchasing lawyer. Covenants not to compete do not prohibit a lawyer from entering into an agreement to sell a practice. So what exactly are you selling? Every law practice consists of two elements: tangible assets and intangible assets. And the tangible or hard assets of the practice quite frankly are not the things that a buyer is looking for; they’re looking for the intangible assets. So although land, building, profitable or favorable leases, technology and library materials, generally outstanding AR and some whip are sold in a practice, clients really are buying two things. They’re buying the firm’s clients that are generating the immediate source of revenue and to a lesser degree, the network of contacts and referral sources that bring in new clients. Next question: What should one pay for a law practice? In this area, comparable sales are really no help at all. The marketplace for buying law firms or practices is an immature one. Deals are confidential, so there are few ways to find out the terms. Generally, there have been two methods used to determine what the law practice is worth. One is sort of a rule of thumb or multiple method where they multiply the annual gross revenue of the practice over the last three or five years, sometimes on a weighted-average approach, to come up with a value. It doesn’t work for some types of law practices; it’s a little more definable for estate-planning practices which may have predictable revenue streams from existing clients. The suggestion of what a proper multiple is has gone across the board anywhere from 0.3 to basically 1.0 or as high as 1.33. With an earn-out method, what you’re getting basically is a percentage of future revenues for a fixed period of time, and it really is sort of a hybrid of a referral fee. One of the commentators in this area, Roy Ginsburg, basically uses a sort of a “back of the envelope” sort of way of evaluating a law practice by saying we should just look at what someone would get paid a in a law firm for an origination credit and to track that out anywhere from three to five years. Of course, when a price is determined, you need to come up with the terms of the payout, how long it would be paid, et cetera. Now, you’re not just going to walk away from your practice; there’s going to be a transition period where any responsible buyer is going to be looking for introductions to the clients and expecting the seller to be around for a certain period of time. And, again, in estate planning practices, one thing that – well, there are two things that basically can spike revenue that may not show up on past performance, and one is the effect of tax law changes and the other is mortality. That, at times you’re going to have clients pass away, and often estate and trust administration fees will be substantially higher. Determining the price is something a buyer and seller should be able to work out. The toughest part of selling a law practice is how to find a buyer and how to actually market the practice to a prospective buyer. It’s the $64,000 question. People have taken different approaches to doing this. Some advertise in local bar and business publications. Others engage in business brokers, and there are brokers that arrange for the sale of law practices in certain jurisdictions. It’s a little more common, I have found, in places such as California and North Carolina than elsewhere. A third way is to find a particular estate planning or tax firm that’s looking to roll up a practice by acquiring additional clients. But the two best ways would be discreet, and I do mean discreet, communications at bar meetings, estate planning counsel, and other functions – remember, nothing in this world is kept secret. And, the best method would be really selling to associates and partners at your own firm. And that is also how you should be planning for a transition of an estate-planning practice. You would look to hire an associate; you may need to merge with another firm if you can’t find a talented person and do the proper due diligence that we all do when we hire people. Verifying the purchasing lawyer’s expertise and credentials, general reputation, assessing the lawyer’s philosophical approach to clients – ask yourself the question: do you think there will be an effective relationship between the purchaser and the seller’s clients? Same for referral sources. And then the ultimate question: Would you engage the purchasing lawyer to prepare your own estate plan? There are a number of people who have written in this area, so I encourage you, if you would like to learn more about it, look up the works of James Cotterman, John Olmstead, Ed Paul, Roy Ginsburg, and Tom Lefneski. And you can google their names and read much more about it. 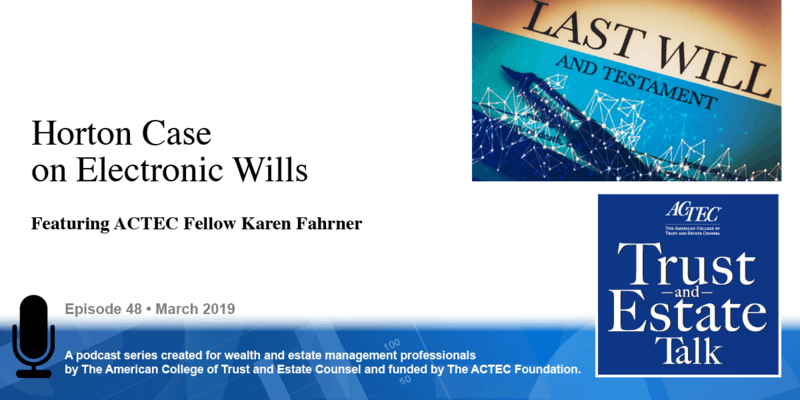 In closing, estate-planning practices out of all law practices may be one of the most marketable practice areas, and I believe there will be more focus on the monetization of a law practice as the baby boomers continue to age. And I predict that the market for the sale of law practices will continue to grow over the coming years. Thank you. 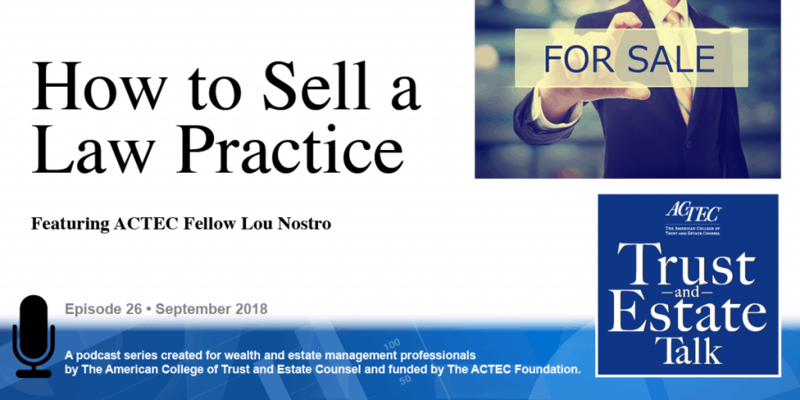 Thank you for your insights, Lou, on how to sell a law practice.